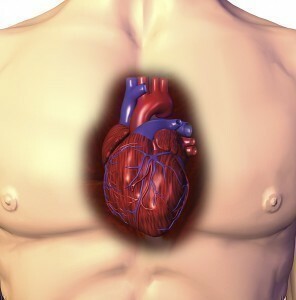 Congenital heart disease is the result of a defect in the structure of the heart and great vessels of a newborn. These disorders may hinder blood flow in the heart and/or blood vessels or cause irregular flow throughout the heart and circulatory system. Less often the defect can cause abnormalities in the heart rhythm for example in long QT syndrome. The major defects include hypoplasia, obstruction defects, cyanotic defects and septal defects. Congenital heart disease is the more prevalent birth defect observed in newborns and will generally materialize as a life-threatening condition. In many instances the cause of congenital heart disease cannot be established. However there are some factors that may increase the risk of developing the condition. Some risk factors are listed below. If one or more of the parents was born with a congenital heart defect then the offspring will more likely develop the disease. Chromosomal abnormalities may induce the condition and is considered a genetic cause of the disease. Some genetic irregularities and mutations may also trigger congenital heart disease as observed in familial heart block, Noonan syndrome, Alagille syndrome and Velo-Cardio-Facial Syndrome among others. Other pre-existing disorders can lead to congenital heart defect including down syndrome. If the mother succumbs to infections such as rubella, the risk of having a child with a heart defect is increased. 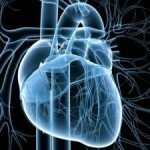 Exposure to drugs like alcohol, thalidomide and lithium can trigger a heart defect. Diabetes and other conditions present in the mother may possibly lead to the development of the disease. Smoking may also increases the risk that a child may be born with the disease. 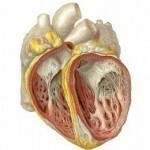 The symptoms will be related to the type and extent of congenital heart disease. It is possible for a child to be affected and experience no symptoms of the disease. The symptoms will normally manifest early in life or may never be detected because of the mildness of the particular condition. The symptoms will include the following. If the disease is very mild and does not affect the baby then no treatment will be necessary. 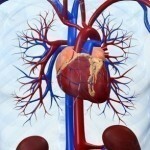 However because congenital heart disease is often serious it may require surgery and/or medications. The types of medications administered may include salts, digoxin and diuretics that will allow the baby to eliminate water from his or her body. The surgical procedures carried out will attempt to repair much of the damage to improve circulation and increase the odds of survival. An alternative is available known as interventional cardiology which may reduce the need for surgery.